Dr. Manoj Khanna is a well known Cosmetic, Plastic and Aesthetic Surgeon based in Calcutta, India, with offices in New Delhi, Mumbai and Bangalore, besides his office in UAE. He is a Board- certified plastic and cosmetic surgeon, practising at Kolkata, with the highest qualifications in Plastic and Cosmetic Surgery in the country. His qualifications are MBBS, MS, M.Ch (Plastic Surgery), DNB (Plastic Surgery), FICS (USA)& Fellowship (Cosmetic Surgery), (USA).He was the 'Visiting Professor in Cosmetic Surgery' for India for the year 2008, nominated by the Association of Plastic Surgeons of India, the national body of Plastic Surgeons in India. He has been invited to give lectures and do workshops in various parts of India & abroad. Nice Blogging Awesome tips about Cosmetic surgery. thanks for sharing. Best Plastic Surgery India Ludhiana by Dr. Vikas Gawri. You've shared a terrific topic. Thanks for this wonderful sharing and want to know more detail so please continue. Hair Transplant is a best way to overcome the problem of baldness. Nutrite offers the best hair transplant in Delhi, its results are quick and permanent with no side effects. Marmm offers the Best Hair Transplant in Bhopal and providing many services such as FUE, FUT, PLASMA THERAPY. it also provides a latest techniques and results are similar to the natural growth of hair. The surgeon Dr. Amit Porwal also awarded by The Times of India. Natural Hair Transplant offering you the high quality hair transplant service with latest techniques for both men and women with effective result. Get Safe & affordable hair treatment here. I like your post but, plastic surgery isn’t the answer for everybody who has shed pounds. There are regularly a couple conditions your plastic surgery needs to see before consenting to perform such a surgery. Nowadays, hair transplant in India become more popular. Its good to see we have some good hair transplant surgeon like Dr Khanna. These days hair transplant is very common in Male/Female just because of unbalanced life style. The main cause of hair transplant is heredity, stress, lack of vitamin, unhealthy foods & lack of sleep. If you are getting completely bald then only one permanent solution is hair transplant. Lot of clinics said that they cover your hair falling in few months with some medicine so its not possible. May be medicine work but only for stop hair falling but what about bald area its still in same condition. So if you cross the certain age limit above 28 & you are badly suffering to hair loss. You should must be go for hair specialist & take advice for your hair falling. I have read about Dr. Khanna's treatment for Hair Transplant. He used most expensive and advance Hair Transplant Instrument in India. Anyone who is looking for best natural hair to cover up bald scalp then he/she should consult at Avenues clinic in Ahmedabad for best results. The transplant cost starts with 30,000 and provide every Tuesday and Sunday free consultation. Wow! Simply awesome! Thank you so much for the details discussed! We at Dr. Miglani Dental & Cosmetic Centre, also offers reliable, permanent looking natural hair transplant in north Delhi. We use FUT, FUE new techniques for hair transplant. Does this clinic also offers laser hair removal treatment? I am planning to undergo hair removal procedure in India because it's way cheaper. Get the hair transplant surgery in Delhi by our Expert Hair Surgeon Dr. Mayanak Singh. Thanks for sharing informative post. Hair loss is the major issue among the youngsters. 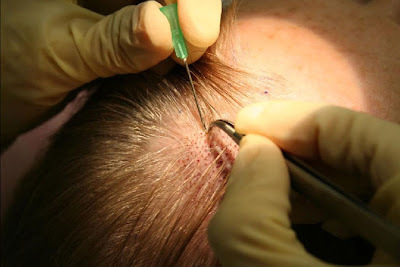 You can also read more about the hair transplantation treatment in Abu Dhabi & Dubai. Thanks for sharing this video with us. Hair Transplant Transplant in Delhi is also best for hair transplantation. The Average Cost of hair transplant in Dubai, abudhabi, Sharjah, UAE varies on Number Of Graft needed, Techniques & Method, Area, Surgeon's Skill & Experience.